Tomorrow on Steam Early Access, Blast Out by indie team Tarhead Studio will go live!It features a very vibrant, distinct art style and a fun, intricate combat system. No battle will be the same with the game featuring deforming arenas. Customize the chosen character from a variety of armor and other equipment to help prepare them for battle while also defending them from the arena itself in addition to their foes! Each piece of equipment offers a positive and a negative stat to reinforce tactical play and balancing what is necessary for that players playstyle. Build a loadout of four abilities for each character, and the pool of over 28 abilities will offer a nice variety of abilities, from offensive, defensive, positional and control powers. If that weren’t enough, characters can also utilize weapons, and each weapon has its own unique ability. Mixing and matching these effectively promises to be a key to success. “We’re really pleased to announce that Blast Out is coming to Steam Early Access”, said Martin Eriksson CEO of Tarhead Studio. 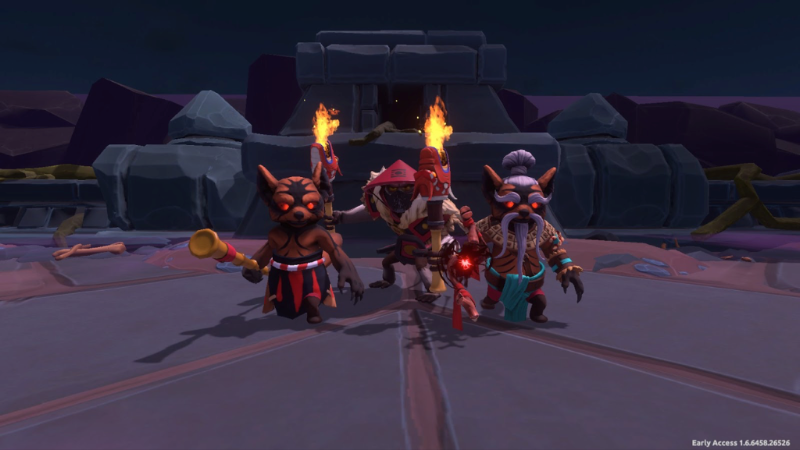 “With a heavy dose of inspiration from the Warcraft III mod, Warlock and our own visions on what an arcade based arena brawler should look like, we believe Blast Out delivers a fast paced battle arena experience unlike anything else on the market”. PIck one of the three tribes, Bears, Apes or Red Pandas, and take part in combat that heavily revolves around player ability and mastering the mechanics of close quarters combat through a Knockback system. The player’s reflexes will also count for a lot to outmaneuver their opponents. Especially skilled players may receive Legendary items as they gain vital arena experience, which can be added to their collection of offensive assets.